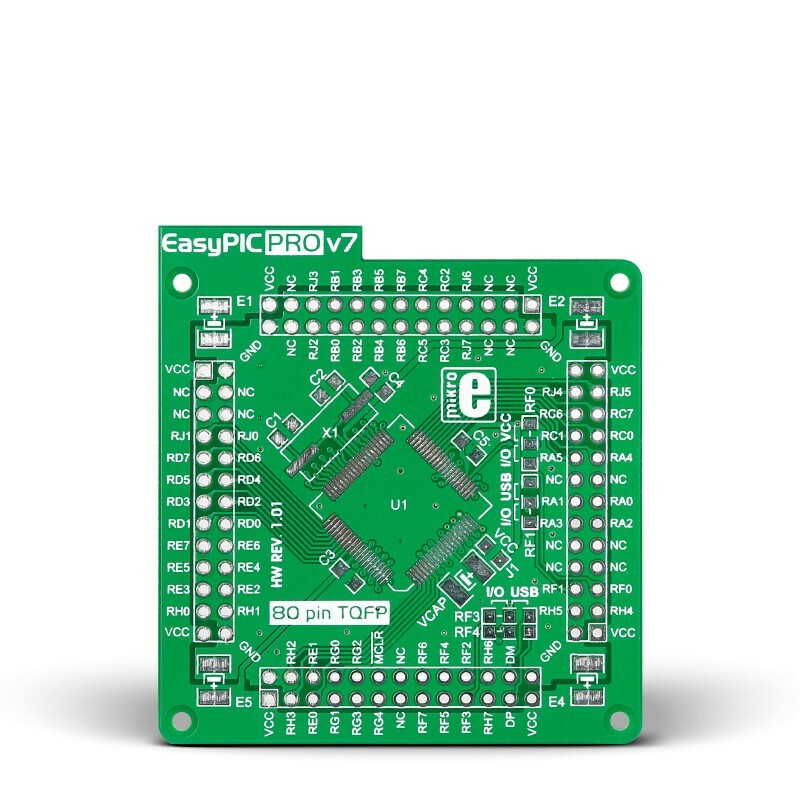 Standard empty 104-pin MCU card for EasyPIC PRO™ v7. Card is not populated with components. Pin distance 100mil.